Trawling through the endless photos that appear on Facebook these days, there are always one or two that catch my eye. The other day my eye was caught by a photo posted by Gökhan Diler of a Volvo F88 Rigid cattle truck. Mr Diler posts plenty of photos clearly taken all over the place (I’d love to know where this one was taken?? 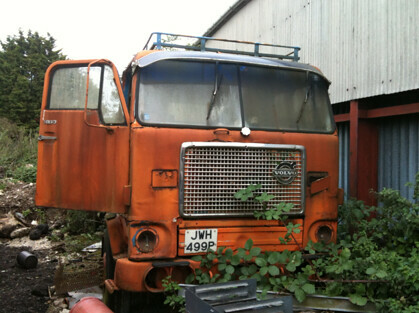 ), so why did this Volvo stand out?….Well it just had that familiar feel to it. I mean how many rigid Volvo cattle trucks do you know of?? 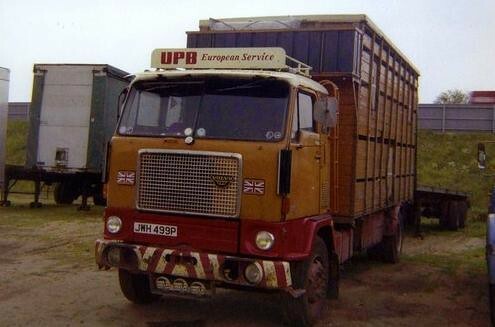 I have since been told that “UPB” on the head board stands for “United Pig Breeders”. 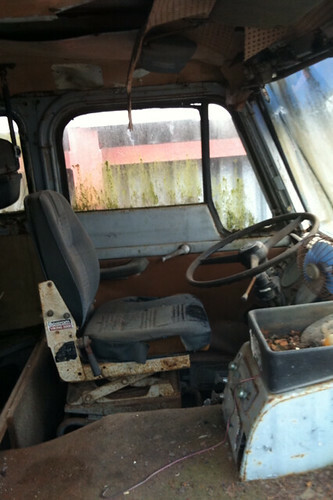 A few years back I was busy buzzing about the Essex countryside in a tipper and I used to get everywhere. Not far outside Chelmsford on a main road, not visible from a car, I could just see over a hedge next to a shed on a farm, an aging Volvo in an orangey colour. I stopped in and enquired like you do. I was told that it used to do a lot of continental work with a cattle wagon body on which made sense as it was left hand drive. I thought at the time I took a couple of photos but as yet I haven’t managed to find them. Any way the photo above appeared on the Facebook and I was sure it was the same truck, challenge on, ask you my beloved bloggers for help………. 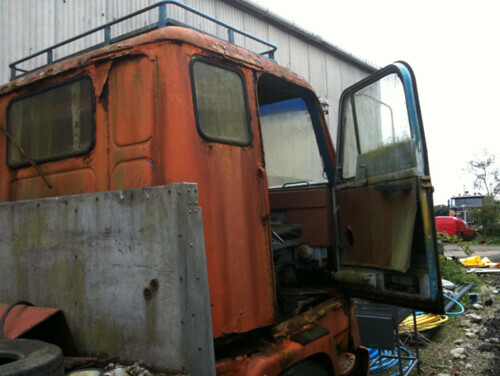 This entry was posted in Drivers Photos, Golden Oldies, Now & Then, Truck Detective, Volvo by truckbloguk. Bookmark the permalink.